As a follow up to their critically acclaimed debut ‘Ex Military’, Death Grips will release two albums this year on Epic Records. ‘The Money Store’ will be released on 23rd April and includes the new songs ‘Blackjack’ and ‘Get Got’. 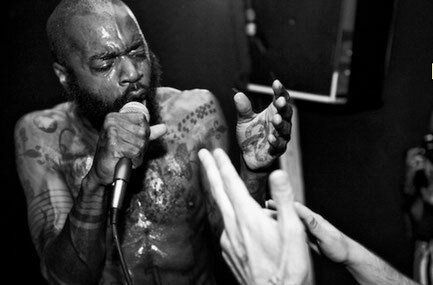 Hailing from Sacramento, California, Death Grips was formed in late 2010 and consists of vocalist Stefan Burnett and production team Zach Hill & Andy Morin. Their track ‘Guillotine’ became Time Out NY’s #1 single of 2011. 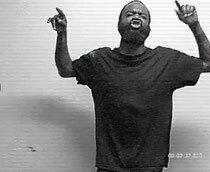 This year, Death Grips will bring their sonic intensity to Coachella, Primavera Sound, All Tomorrow's Parties and Field Day Music Festival London, with tour dates throughout 2012 to be announced. The live setup consists of Burnett on vocals, Morin on keyboards and Hill on drums. The Money Store will be available on vinyl exclusively April 21st as part of Record Store Day. The second album, ‘No Love’ is set for release in the autumn. The group released the video ‘Blackjack’ via their website thirdworlds.net last month.